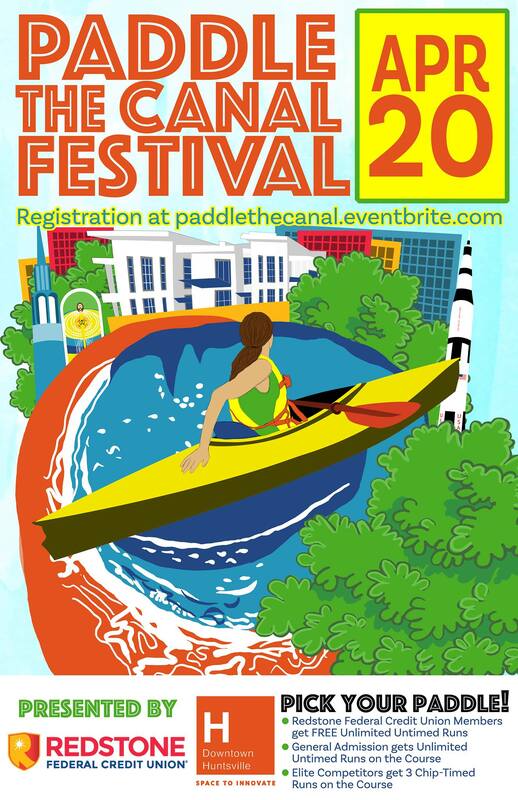 Paddle the canal is BACK for year three! 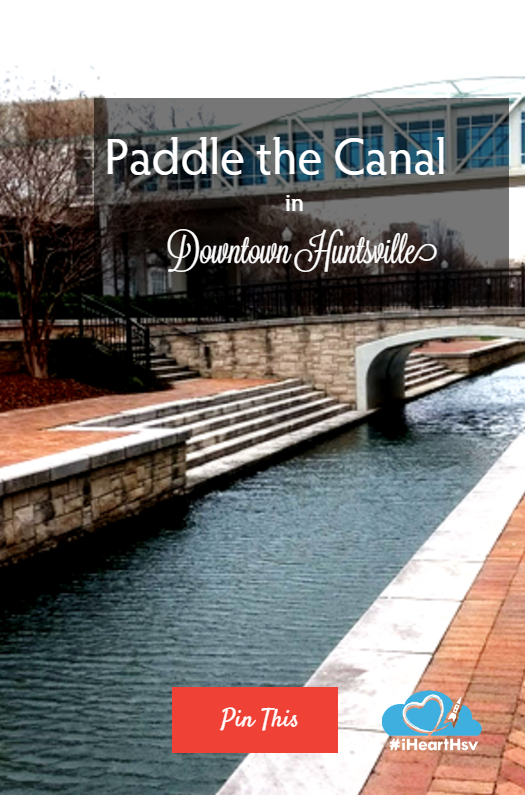 Downtown Huntsville doesn’t have a river, but we do have a canal, and on April 20th, the public will be able to Paddle the Canal. 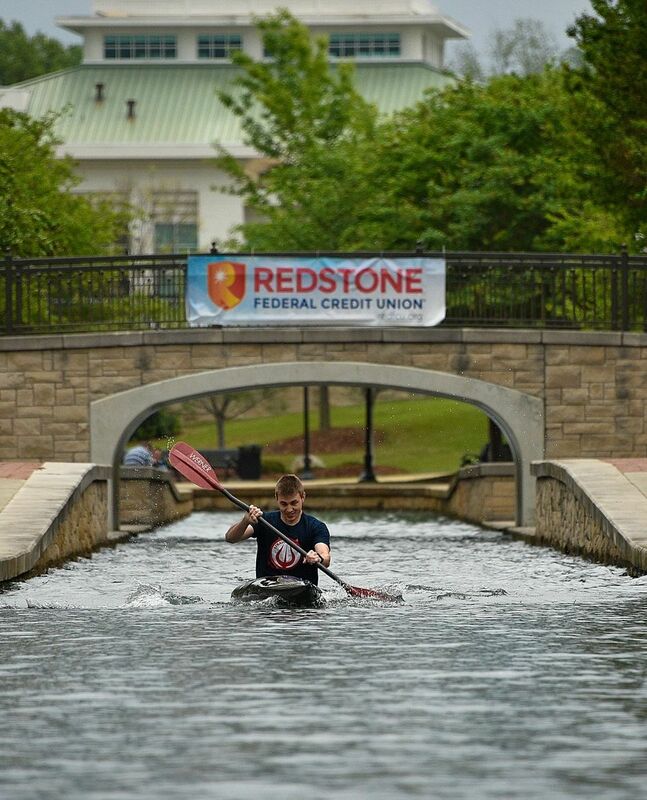 Redstone Federal Credit Union (RCFU) is sponsoring the event with lots of great giveaways, and if you are Redstone Federal Credit Union member you get to paddle for FREE, just make sure you register here! 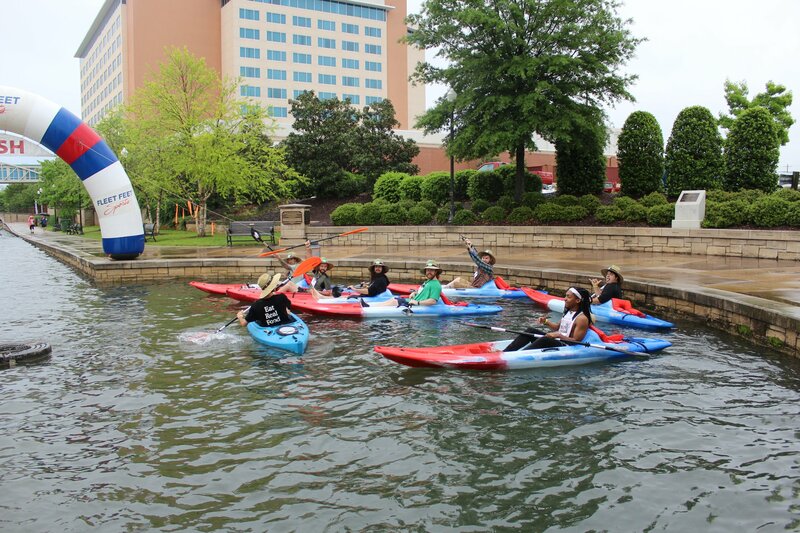 The canal between the Embassy Suites Hotel and the Von Braun Center is only about 10 feet wide (originally designed to look like a Venetian waterway), so kayakers and canoers will race against the clock, one at a time, from the Rotary Fountain near Heart of Huntsville Drive, down the canal, around Thrasher Fountain, and back for a grand total of 550 yards. You don’t have to bring your own kayak or canoe, Brown Bear LLC Canoe and Kayak will have rentals kayaks. Life jackets are also provided. 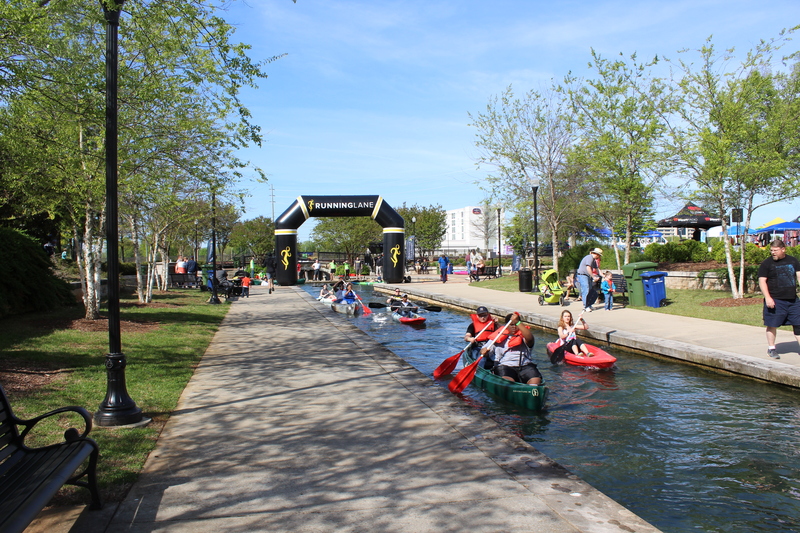 Paddler’s Park is the “hang out” area behind the South Hall of the Von Braun Center. 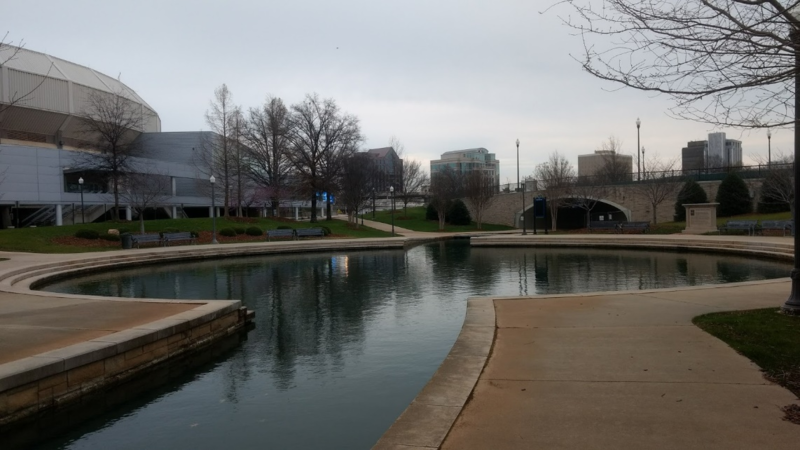 People are welcome to come and enjoy the free entertainment and activities such as Music by Mike from 7-11am, and live music from Marty Williams and the "Ain&apos;t Half Bad Band" from 11am-2pm, along with a craft beer bar featured by Embassy Suites. You can also enjoy incredible food from Kudzu Cafe Food Truck, In the Bun, Nothing Bundt Cakes and Golden Years Ice Cream and Parlor.